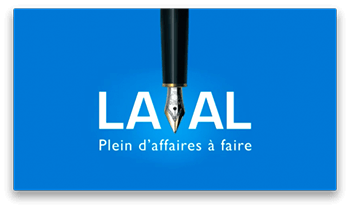 A leader in the field of business tourism, the Laval Tourism agency has built up a prime reputation in the meetings and conventions market niche. Capitalizing on this expertise, Tourism Laval chose as its mission to make life simpler for meeting and event planners. But how could they communicate the breadth of their service offering in a simple yet effective way? In order to support Tourism Laval’s service offering, we developed a communication platform entered around a simple brand statement and a powerful promise: The Simplifier™. This communication platform allowed the agency to consolidate its range of services and to deploy as series of content marketing tools aimed at attracting and capturing prospective customer and the building a strong relationship with them until they were ready to buy. Using a rich toolbox of assets, from information guides to newsletter, The Simplifier™ became a valuable tool for event planners interested in hosting a meeting, convention or event in Laval. 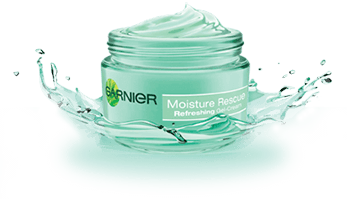 The Moisture Rescue skin care is a recent addition to Garnier’s product range. This global beauty giant wanted to enjoy his well-established reputation in hair coloring and styling products to meet the needs of its loyal customers in other categories. The arrival of a new moisturizing gel product was an opportunity for Garnier to consolidate its position among the younger clientele. A sampling strategy was put forward to quickly stimulate word-of-mouth testimonials and sales. A multi-channel campaign targeting users of competing brands was introduced. A personalized email was sent to several thousand consumers, inviting them to apply for one of the 1000 full-size samples in exchange for feedback. The other respondents received a mailing containing an envelope and a high value coupon. The news spread like wildfire, with tens of thousands of applications within hours. A resounding success for Garnier. Mark Morin, President of Strategies Marketing Direct, presents “Physical Meets Digital” at FFWD Adweek 2013 in Toronto. 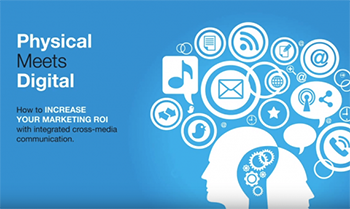 Discover how to build design and deliver an integrated cross-media strategy combining physical — specifically direct mail — with digital and traditional media to produce more sales and better ROI.